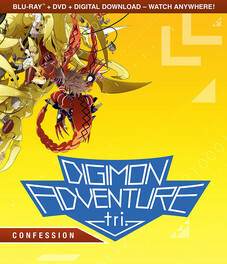 Infected Digimons continue to threaten the human world and the digital world. There is also a new threat when a mysterious message appears one night over all electrical devices stating that “the Digimon will be released again,” which creates mass panic. There is one possible solution – triggering a “reboot” which would reset the Digital World. But the reset comes at a high price, as the Digimons would lose all memories of their human companions.